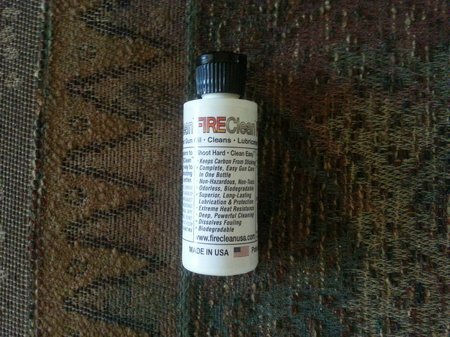 Fireclean is a unique gun oil that cleans and lubricates and is NON-TOXIC and biodegradeable. You do not have to worry about getting it on your skin or breathing any toxic fumes. Fireclean is safe. It is also odorless. Fireclean was designed specifically for firearms cleaning and lubrication in all extreme weather conditions. 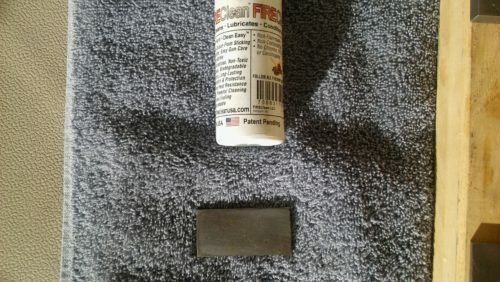 Fireclean is an excellent carbon solvent. It not only helps stop carbon from adhering to metal but also loosens it for easy removal. It conditions metal to repel fouling while providing excellent lubrication properties. 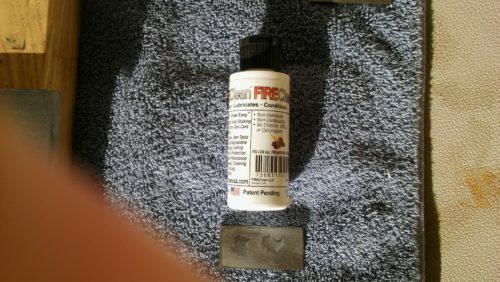 I bought this bottle of Fireclean to test on my AK-47 rifle. 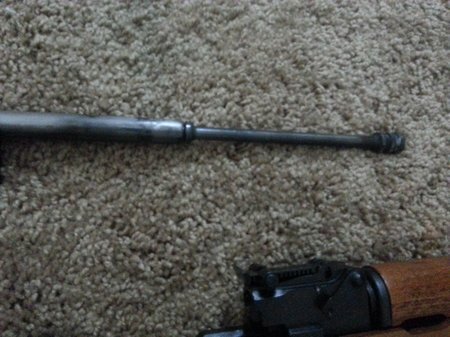 The AK-47 gas piston is notorious for carbon build-up and is somewhat difficult to clean. This would be a great test for Fireclean gun oil. Here is my CLEAN Zastava bolt carrier and piston. I will degrease it and then treat it with Fireclean before shooting it. I used Froglube’s Solvent to remove all traces of Froglube and/or any lubricants/cleaners. 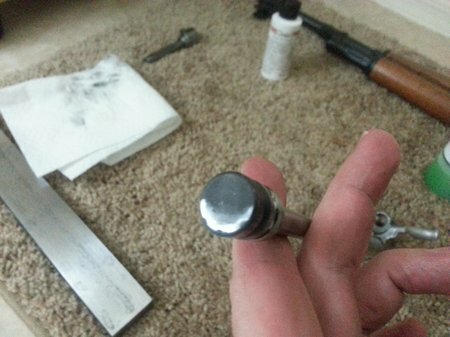 I sprayed the piston liberally with the solvent and brushed it several times. I then wiped it off and let it sit to dry. AK-47 bolt carrier and piston ready for Fireclean treatment. 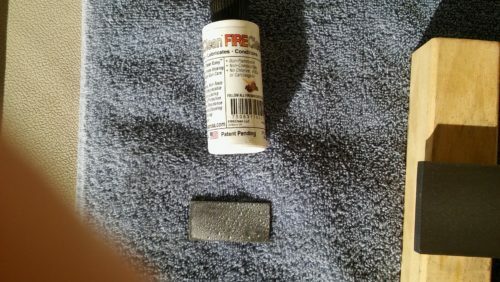 I applied Fireclean to the gas piston only. This is the part that gets really dirty with carbon. After application, I let it sit for a few hours then applied another coat. I then wiped the excess off and assembled the AK-47. Now let’s head to the range!! 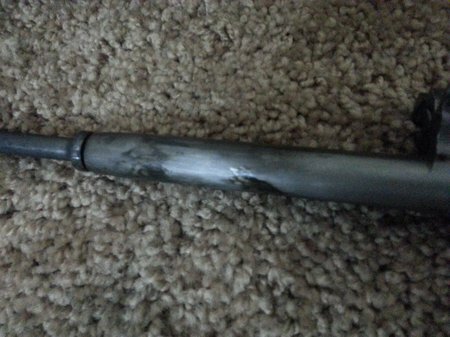 Here is the bolt carrier/gas piston after 100 rounds of Red Army Standard 7.62×39 123 grain FMJ. 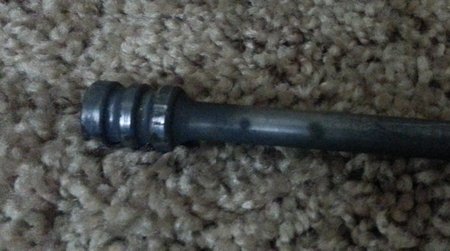 Here is the bolt carrier where it meets the gas piston. Lots of carbon fouling. 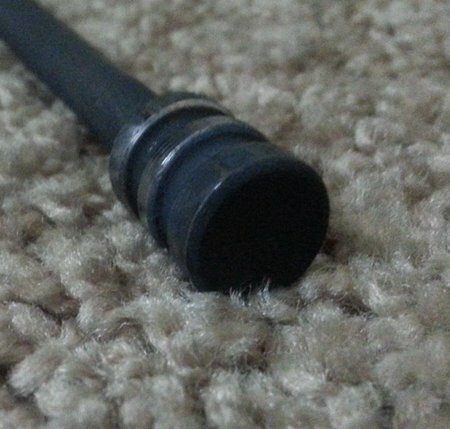 Here is the end of the gas piston. Carbon is baked and caked on. Here is a close-up of the carbon build-up. Close-up of the piston head. Let’s see if it wipes off with an ordinary paper towel. 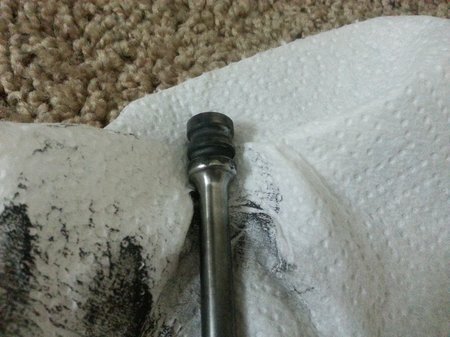 Here I wiped the piston shaft with an ordinary paper towel. The carbon easily wipes off. NICE! I see something shiny now. I did not apply any additional Fireclean. I’m just wiping with a dry paper towel. 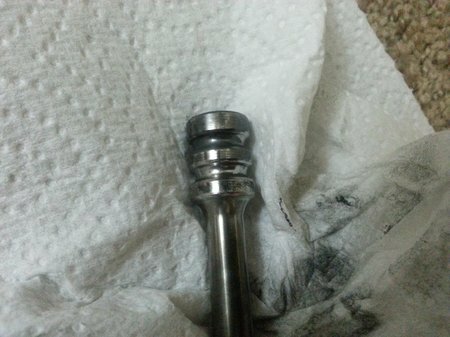 I wiped the top of the piston with a dry paper towel. Most of the carbon easily wipes right off. Pretty darn clean with minimal or no effort. 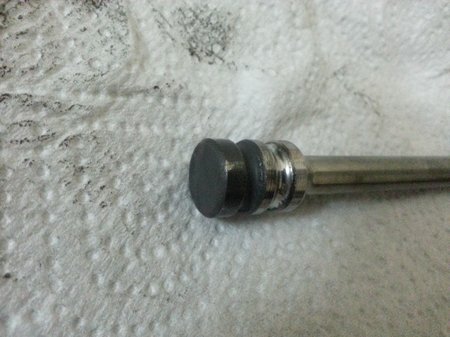 Let’s take a look at the top of the piston head. This area gets burned in with fouling. See what I’m talking about? This is baked/burned in carbon. 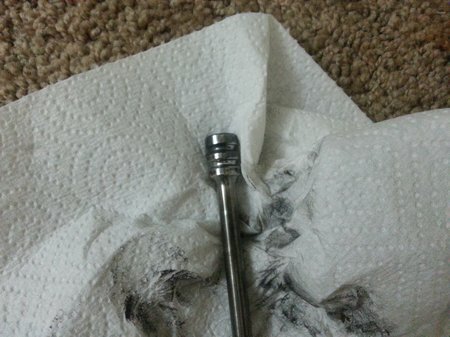 OK…here is the gas piston top after wiping with a paper towel. The carbon did not wipe off so I then put a drop of Fireclean on the top and let it sit for a few minutes. After about 10 minutes, I wiped it again with a paper towel. More carbon came off but not all. I could repeat this procedure but I decided to speed it up by using a Phosphor bronze utility brush to remove the stubborn carbon fouling. 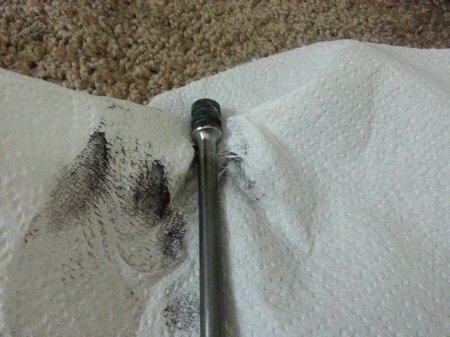 2 minutes later the gas piston is shiny clean. 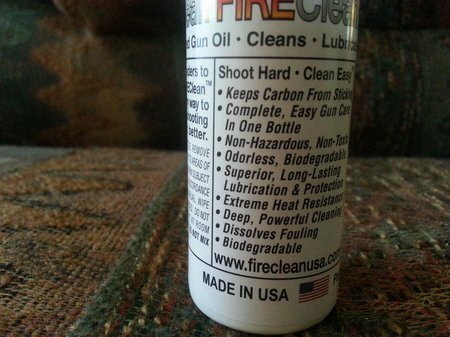 Fireclean is an excellent cleaner lubricant for firearms. It lubricates very well and does prevent fouling, making gun cleaning much quicker. I really like the fact that its non-toxic and odorless. 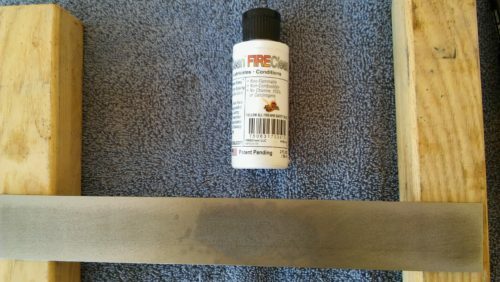 So how well does Fireclean Gun Oil protect metal against corrosion? I’ll put it to a test and see. 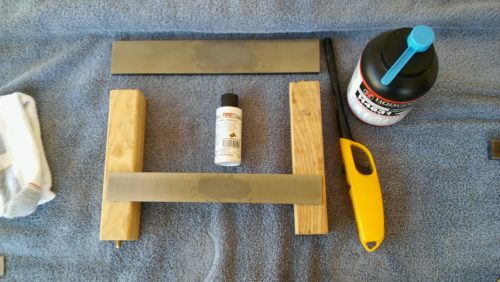 I use a simple gun oil corrosion test consisting of a bare steel bar/plate, a gun oil or CLP, water spray bottle and desert climate with a temp range of 65-108 degrees F.
Let’s take a look at the corrosion test set up. 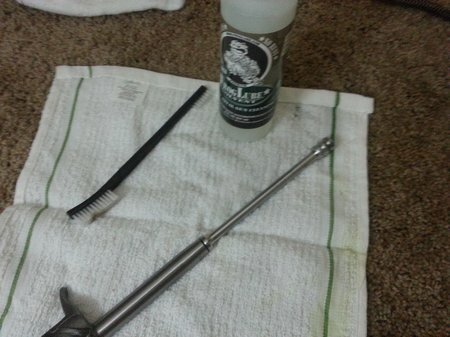 Here’s the FireClean CLP and the bare steel test bar. 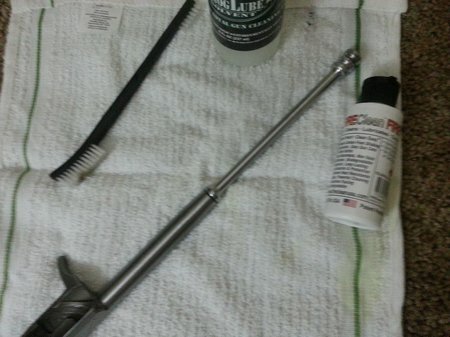 The test bar is filed and cleaned thoroughly with a straight gun cleaner like Mil Comm MC25 or M-Pro 7 Gun Cleaner. 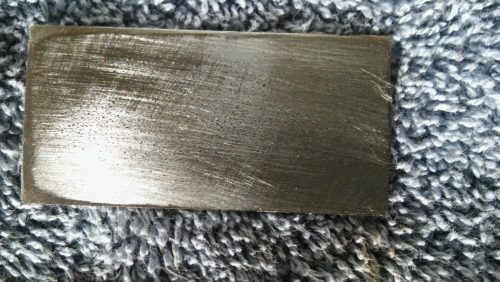 Here’s a close up of the steel test bar. 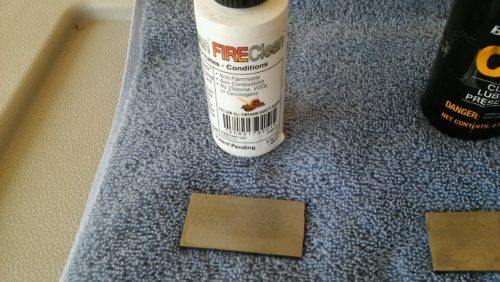 I will apply 2 drops of FireClean CLP/Gun Oil and then spread it evenly over the surface. I’ll let it “cure” for 24 hours and then start the test with a spray of water. I applied just 2 drops of Fireclean to the metal bar. I will spread it evenly with a few cleaning patches. 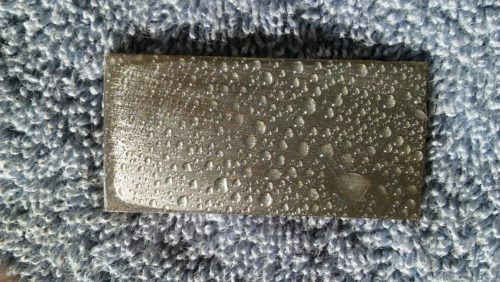 Here’s the 2 drops on the clean bare steel bar. Now let’s spread it evenly. I used a few cleaning patches to spread the Fireclean evenly over the surface. I’ll let it sit for about a 24 hours and then spray it with water to start the corrosion test. 24 hours later…I sprayed a single squirt onto the metal plate. Let’s take a closeup view of the water beads. The water beaded very nicely but this does not always mean protection. Let’s see what happens in the next 24 hours. FireClean Gun Oil has endured 11 days of desert climate and water sprays every other day. There are finally very small spots of rust on the steel bar. Let’s take a look. 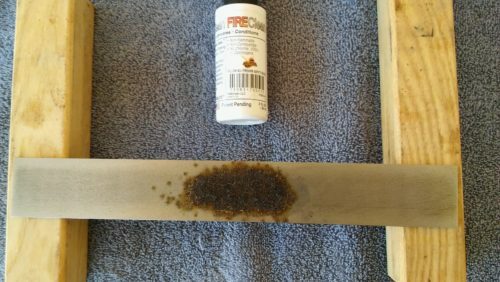 Here’s the Fireclean gun oil and the steel test bar. Let’s take a closer look at the steel bar. If you look closely, you can see 3 or 4 tiny spots of rust about 1/3 the way from the left. They are very tiny. FireClean is an excellent corrosion protection product. Here’s another photo. Most of the bare steel surface is corrosion free. 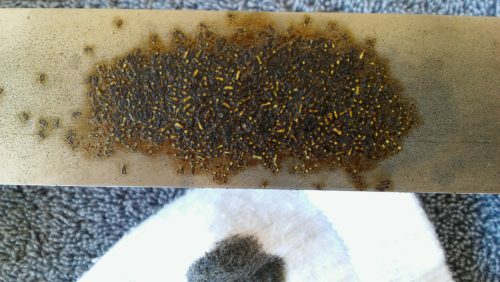 I actually sprayed this test bar 2 more times after the previous photo was taken and the rust has not increased. FireClean Gun Oil is working very well. 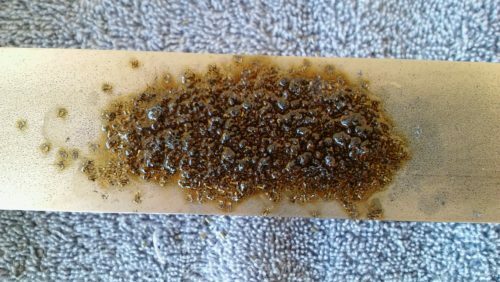 This corrosion test was done with only a single application of FireClean Gun Oil. I will test it again but with 5 applications of FireClean instead of 1. 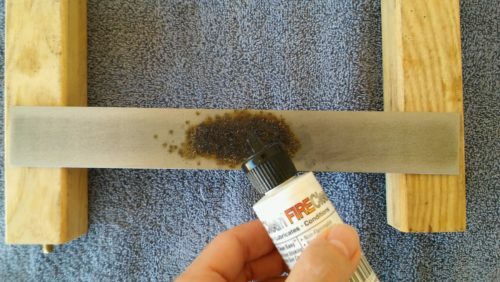 So how well does Fireclean Gun Oil clean carbon fouling? Let’s do a test and find out. 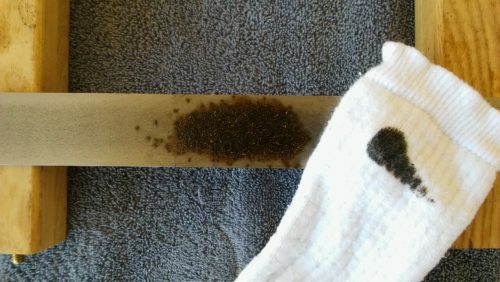 It’s very easy to test gun cleaners. 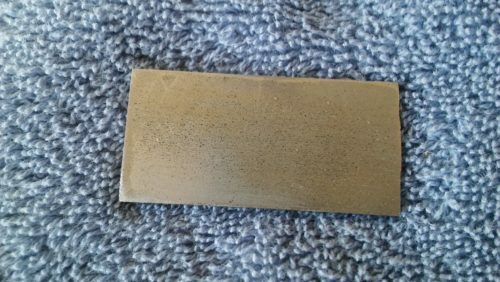 I burn some smokeless powder on a steel bar and then apply a gun cleaner. I wait 10 minutes and then wipe. 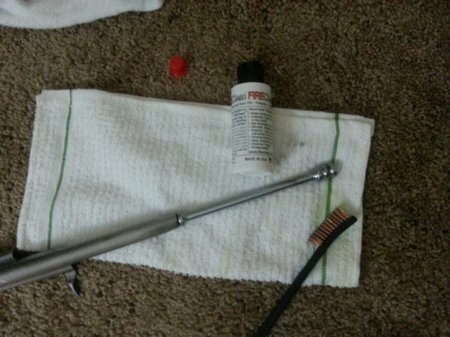 Here’s the gun cleaner test setup. 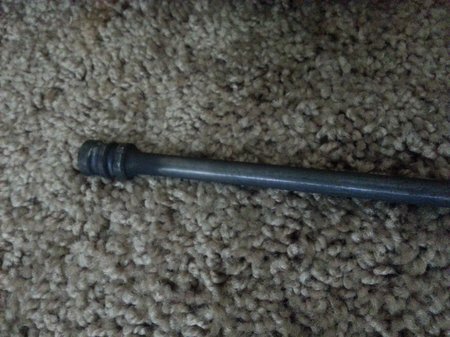 I use a .125×1.5×12 piece of bare steel bar stock. I clean it first with the gun cleaner I’m testing. 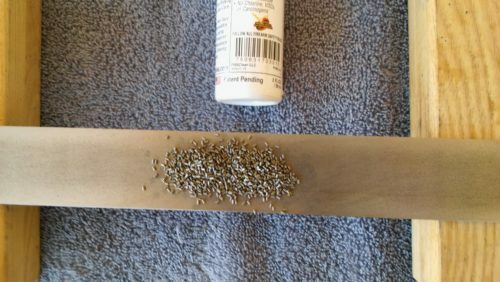 I wait 1 hour and then burn some H4831 smokeless powder on the steel bar. 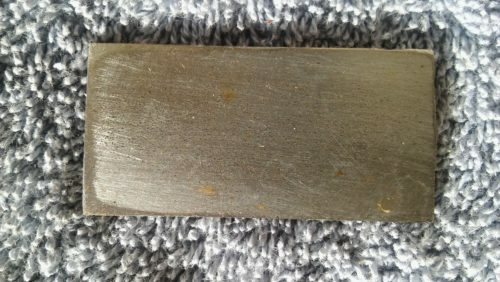 I applied about 4 drops of Fireclean gun oil on the steel bar. I’ll rub it in with several patches and then waited 1 hour. Now I’ll add some powder. This is about a 40 grain powder charge of H4831 smokeless powder. I’ll ignite it and then add a 2nd charge. This should create a nice accumulation of carbon. 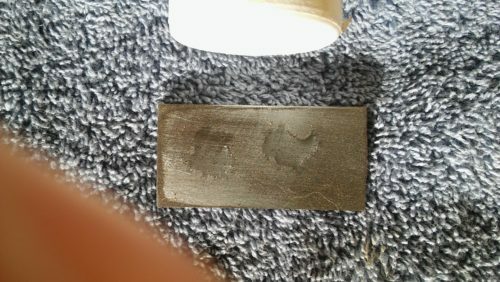 2 powder burns results in a nice carbon deposit that is pretty hard to remove without a really good gun cleaner. The carbon really bonds to the pores of the steel. I’ll add some Fireclean Gun Oil to the fouling and then let it soak for 10 minutes. I’m applying enough Fireclean Gun Oil to saturate the carbon fouling. It’s very important to saturate fouling in order to loosen it, otherwise the gun cleaner just sits on top of the fouling. The fouling is thoroughly soaked with Fireclean Gun Oil. 10 minutes seems to be the ideal time to let gun cleaners soak. I’ve tested shorter times with poor results. This is my very first wipe with a clean dry sock. You can see some carbon has been removed. Let’s try to wipe it totally clean now. I vigorously wiped the fouling with the clean sock back and forth about 20 times. About 30% of the fouling came off but the rest remained bonded to the steel bar. Fireclean Gun Oil does clean fouling but not easily or quickly. I might try letting it soak overnight. This entry was posted in CLP by admin. Bookmark the permalink.